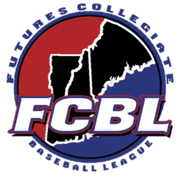 Weymouth, MA – The Futures Collegiate Baseball League has announced its new leadership team. 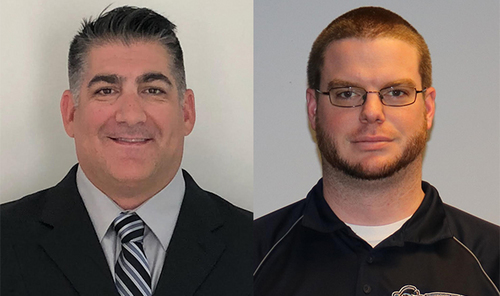 Joe Paolucci of Weymouth, MA is the Futures League’s new Commissioner, and Joe Malkin of Milford, MA is the Futures League’s new Administrator. “The Futures League is delighted to have a double dose of ‘Joe Power’ as Joe Paolucci and Joe Malkin come on board to lead us and build on the momentum that Chris Hall started as founder and past-Commissioner of our League,” said League Chair & Worcester Bravehearts owner John Creedon, Jr. “Joe & Joe each join us with outstanding professional backgrounds and terrific reputations in the baseball world. On behalf of the League, we welcome them as well as their wives and children to the Futures League family,” said Creedon. League Commissioner Joe Paolucci has been an executive with Dunkin' Brands where he worked with franchise owners throughout New England to enhance their business operations. Paolucci is a graduate of Northeastern University where he played his college ball winning conference championships in 1994 and 1997, and captaining the team in 1998. Paolucci later managed in the Cranberry Baseball League in eastern Massachusetts from 2002-09. In 2007, he became the Cranberry League’s Commissioner and went on to lead that league for several years while balancing his professional work career at the same time. Since 2014, Joe is also the head baseball coach at Weymouth High School. He lives in Weymouth with his wife, Kendra, and their daughters, Emma and Ava. “This opportunity to work with the fantastic ownership groups and franchises in the Futures League is exciting. I am also honored to continue the work that Chris Hall has done in leading the League to become the most popular summer collegiate league in New England, and also ranking among the very best in the entire country,” said Commissioner Joe Paolucci. League Administrator Joe Malkin brings over 10 years of experience from the Cape Cod Baseball League and has also been a baseball coach with both Fitchburg State University and Anna Maria College. Malkin is a graduate of Dean College and has worked for several years in the information technology and development fields. He is currently the Sports Information Director at Mass Maritime Academy and lives in Milford with his wife, Meghan, and their son, Carl. “I am looking forward to working with Joe Paolucci to build on the incredible foundation that the Futures League rapidly created since 2011. The best is yet to come with the summer collegiate baseball model and that is especially true for the Futures League,” Joe Malkin said.